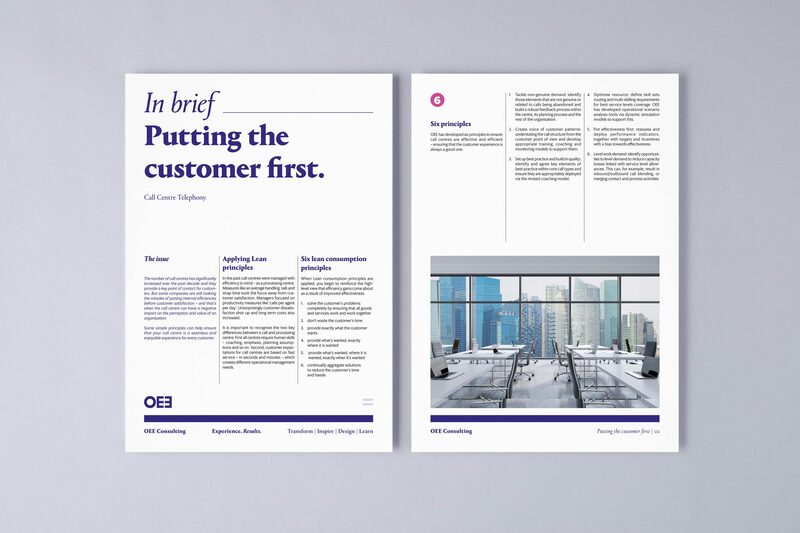 OEE consulting needed to differentiate in the market place. 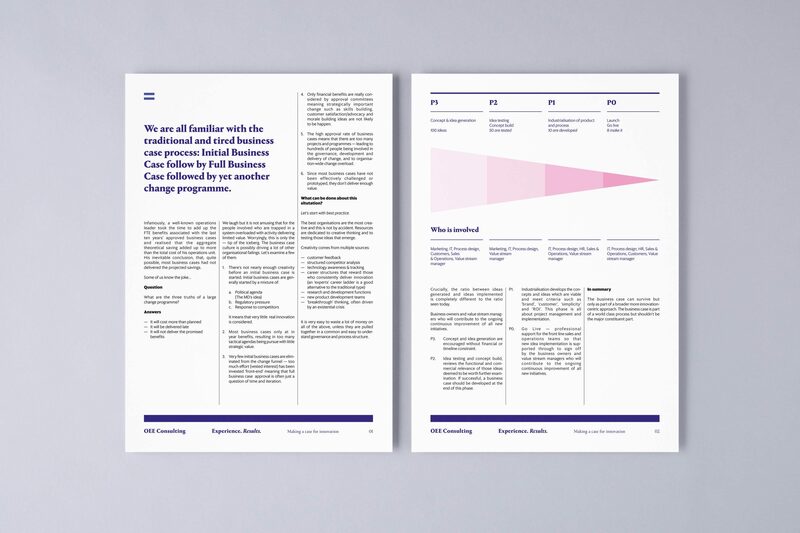 By focussing on their unique strengths we created a brand built around a single idea, one that is true to who they are and to how they approach their work. This single idea was distilled into two simple words — Experience. Results. 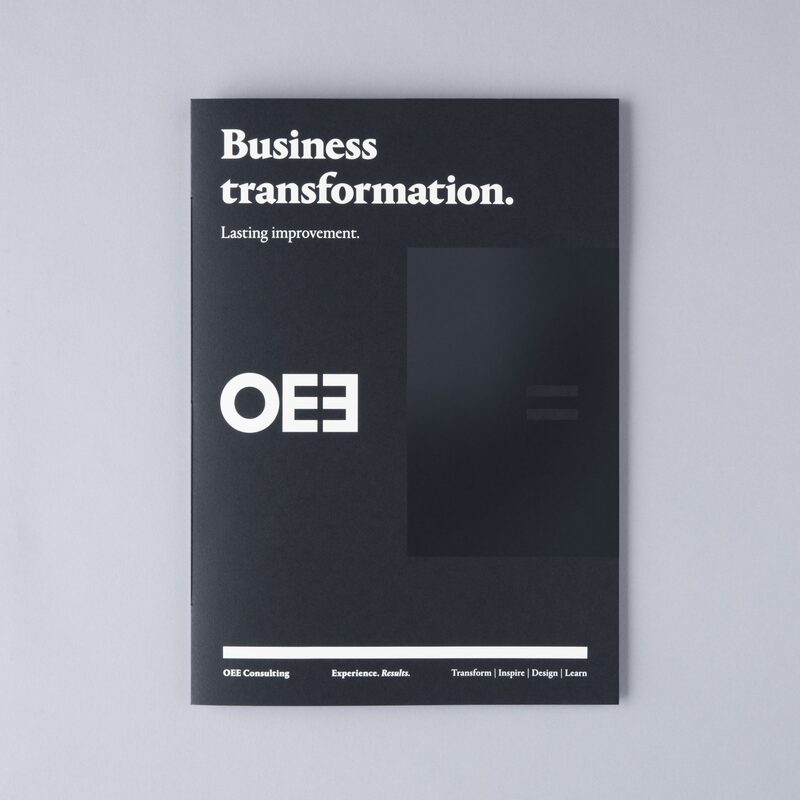 An idea that sits at the heart of all communications, both visually and verbally, demonstrating how OEE works with organisations to make change happen, creating improvement and catalysing and driving transformation. 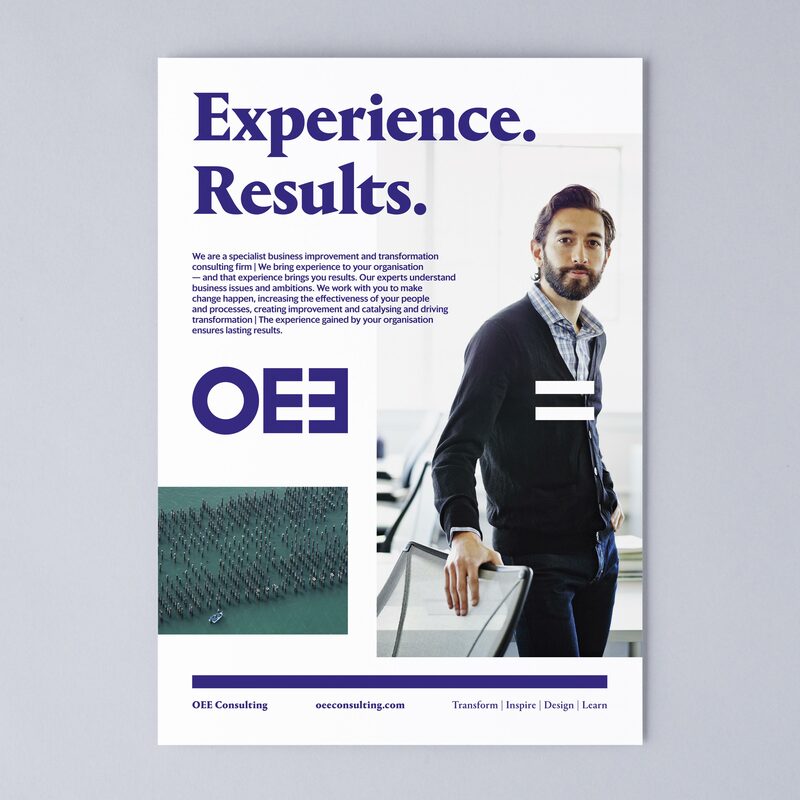 By turning the two E’s of OEE to face each other we created a negative space that is a direct embodiment of the brand idea and difference — an ‘equals’ sign that sits within the DNA of the company. 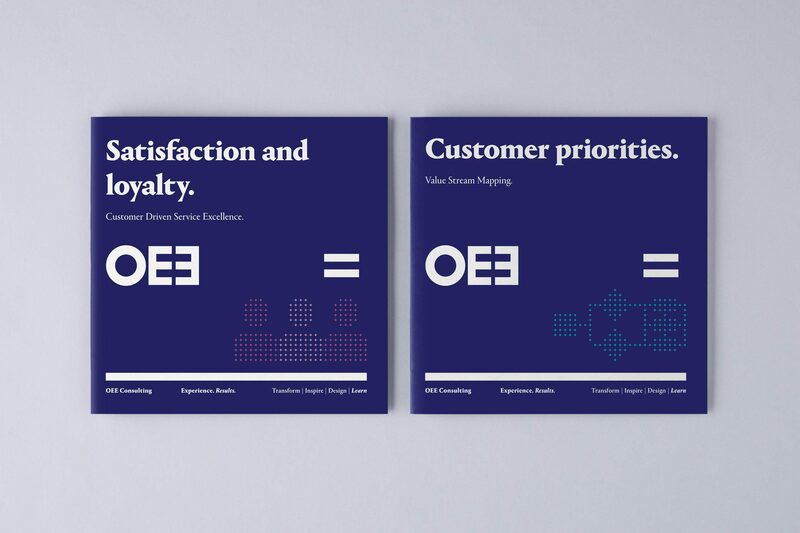 A symbol that emphasises the results OEE brings to their clients each and every time. The logo is an integral part of the brand platform. 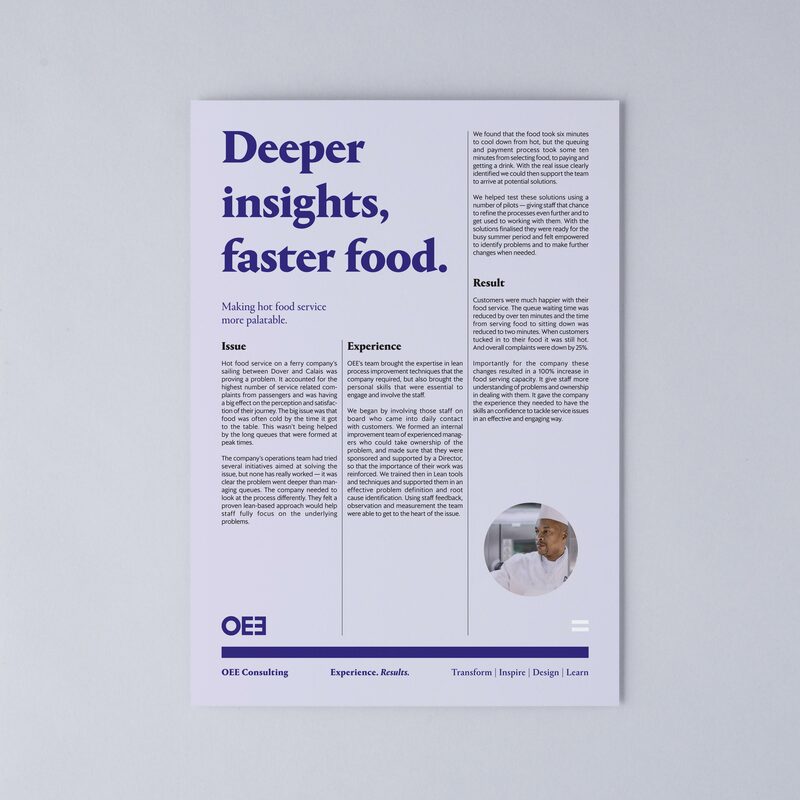 A platform where OEE can tell stories, share experience, and demonstrate the impact they bring to their clients. 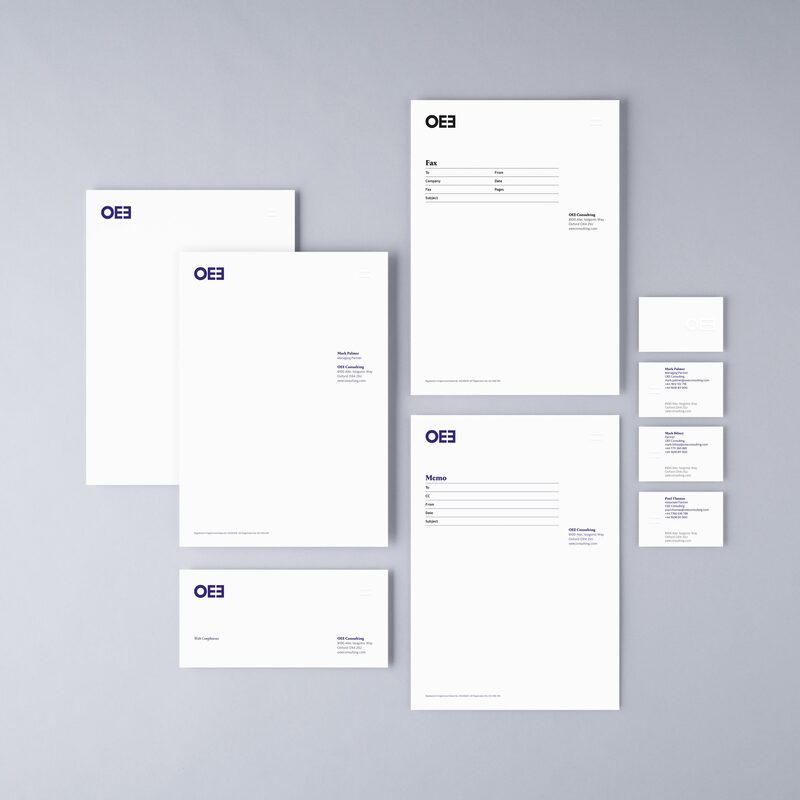 It places the emphasis on intelligent and clear messages, using graphic elements, such as the logo to point to what is most important. 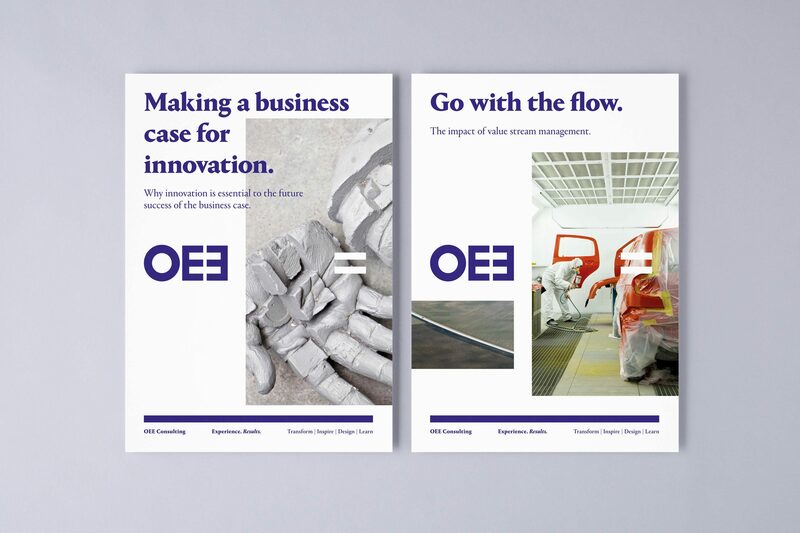 It gives OEE a powerful and credible voice and shows what they stand for, is true to what they do.